WILLEMSTAD – Another great artist added to the Curacao North Sea Jazz Festival. 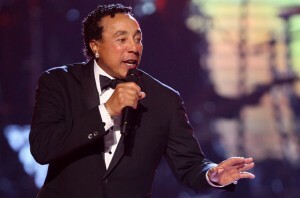 Smokey Robinson! William "Smokey" Robinson, Jr. (born February 19, 1940) is an American R&B and pop singer-songwriter, record producer, and former record executive. Robinson was the founder and front man of the Motown vocal group The Miracles, for which he also served as the group's chief songwriter and producer. Robinson led the group from its 1955 origins as The Five Chimes until 1972 when he announced a retirement from the stage to focus on his role as Motown's vice president. However, Robinson returned to the music industry as a solo artist the following year, later scoring Top 10 solo hits such as "Cruisin'" (1979), "Being With You" (1981) and "Just to See Her" (1987). Following the sale of Motown Records in 1988, Robinson left Motown in 1990. He was inducted into the Rock and Roll Hall of Fame in 1987.